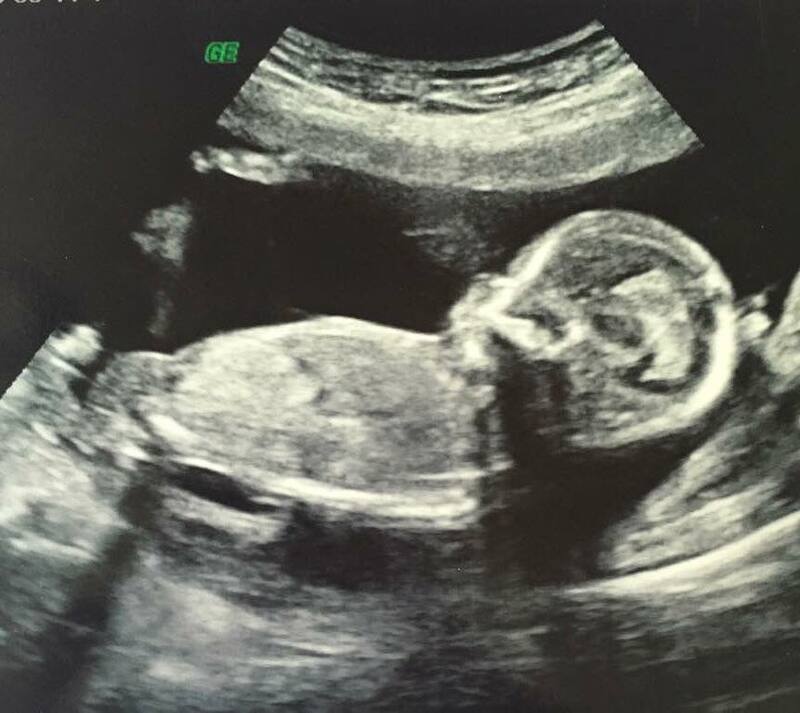 About three weeks ago we booked an early gender scan. I was desperate to find out even though I had such a strong feeling. But could I be right?! On Saturday morning we all left the house and went to the scan. We went to miracle inside in Leeds. We had a little drive and arrived after about half an hour. We were shown into a waiting room and filled out a form. There were loads of toys for the kids to play with so they were happy. Then we were called through. The scanning room was lovely. Lots of seats for guests and a massive television where the scan came up for the guests. I laid on the bed and the scan begun after the cold jelly was applied to my belly. I was so nervous. I hadn't had a scan since 9 weeks. I knew the baby was ok because I'm feeling lots of movement but seeing the baby was completely different. As soon as she placed the probe on my belly the baby came up and there was the most wonderful view.... The flicking heartbeat. We got to listen to the heartbeat too. So, so lovely after my disappointing 16 week midwife appointment. The heart rate was 150bpm. I also can't believe how much they grow within 7 weeks. She let us watch the baby moving around while she looked around. We saw baby sucking her thumb, waving and stretching her legs. It was lovely. Parker didn't really understand but Paige loved it. The lady said everything looked great. The heartbeat was perfect, fluid level was great and I have a posteria placenta, funny because with both Paige and Parker I had anterior placentas. I could see the lady looking around for the gender and thought I saw the classic 3 white lines for a girl and I did!! The lady then announced that it was a girl. We are all so excited, Paige wanted a baby sister so badly. This was the first ever private scan we've had and I would recommend it 100%. I'm really hoping that we can have a 3D/4d one in the third trimester as I would love to get some cute pictures of baby girls face. We also got a £10 voucher for a future visit. We did get a little peak at 3D/4d this time and it was so amazing what you could see. Obviously at 16 weeks baby is still really skinny so didn't look super cute but it was still amazing. She looked to have big lips like her mummy, haha. We received two black and white pictures, a cd rom with 14 pictures on and paid £10 extra for a dvd. Now I'm just hoping that baby is still a girl at our 20 week scan!! They can't 100% guarantee the gender for obvious reason but if they are found to be wrong they do let you go back and be rescanned which is good. Either way I am so excited to see our baby again at our 20 week scan which is only a few week away. Have you ever had an early gender scan?